Obesity isn't good for your appearance and is even worse for your body's internal systems, based on a number of health reasons to lose weight. People who are obese, defined as a body mass index (BMI) of 30 or greater, have a much higher risk for many major illnesses, including heart disease and diabetes. One's BMI is a combination of height and weight and can be determined using an online BMI calculator. The American Heart Association has in recent years begun promoting healthy weight as a way to decrease the risk of heart disease. People who are overweight have much higher rates of major heart disease. Obese people have higher cholesterol levels, from some combination of diet and the effects of obesity, and higher blood pressure rates. Both of these conditions increase the risk that one will have a heart attack or have coronary artery disease (CAD). Obesity also increases the risk for heart disease because the increased pressure on the body increases the pressure along blood vessel walls. This pressure and added weight erode the blood vessel walls and make it more likely for someone who is obese to have a heart attack. A cholesterol lowering diet or other heart-healthy plan will help with these issues. Greater than 90 percent of the new cases of diabetes diagnosed each year are type 2, or adult onset, diabetes. These cases, while having a genetic component, largely are a lifestyle disease. The body overworks its ability to break down sugars using natural insulin. Most people who are diagnosed are obese, as weight is the largest risk factor associated with type 2 diabetes. Type 2 diabetes can be managed in many cases, and damage stopped, if patients are able to get their weight under control, even with other risk factors involved. 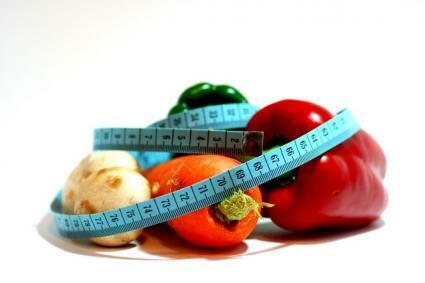 A diabetic diet plan can help obese and overweight people get down to a healthy weight. Though most studies on obesity and health problems have focused on physical well-being, one recent Seattle study found that obesity is more likely to lead to problems with depression and other mental illness. While researchers admit that they are not sure if the depression or obesity comes first, they do believe that people who are obese are more likely to develop chronic depression. This link is one that the American Psychiatric Association and other professional organizations believe is identifiable, even in teenagers. The social stigma of obesity can, in many cases, be one of the determining factors contributing to anxiety or depression. A diet for depression may be one of the ways to help reduce this link. A September 2007 study indicates that teens who are obese may have fertility problems later in life. While the results of this study have not been confirmed through other researchers' work, the initial report indicates that excess fat deposits in the abdominal cavity could cause problems with fertility. In addition, many doctors will perform blood tests on infertile women. A common link between infertile, obese women is some sort of reversible endocrine problem, such as a thyroid imbalance. Doctors can treat these issues with medications, and they often give relief on both fronts. In addition, many medical professionals believe that a higher BMI leads to a greater incidence of reproductive cancers, polycystic ovarian syndrome (PCOS), and other conditions that contribute to infertility. A University of Florida study, released in 2006, found a link between obese toddlers and low IQ. Researchers discovered lesions on these toddlers' brains and believe the obesity impedes development. Obesity early in life can lead teens, especially girls, to become afflicted with various eating disorders. Categorized as mental health concerns, eating disorders can lead to severe health complications, including death. As girls hit puberty at earlier ages, researchers continue to look for possible causes. One study discovered that girls who are overweight start menstruating at earlier ages, putting them at a higher risk for reproductive cancers later in life.